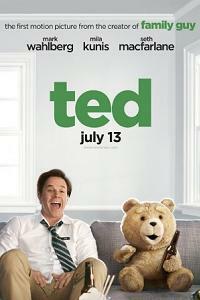 John Bennett (Mark Wahlberg) is the owner of a talking teddy bear aptly named Ted (Seth MacFarlane). Coming alive after the power of a Christmas wish back in the 80’s, he has been John’s best friend since they were kid and cub. More than two decades later, their dependence on each other is a constant point of argument between John and Lori (Mila Kunis), the girlfriend of four years. This eventually leads to Ted being booted out of the apartment and getting into more trouble after he is continuously stalked by a creepy father and son tandem who are both apparently obsessed with him. Crude language aside, this movie could have been a perfect children’s Christmas movie from the Hallmark channel. Perhaps this is because of the musical score utilized, which gives off a kid-friendly holiday kind of vibe. Patrick Stewart’s narration is also pitch perfect for such a genre, except for the random digressions that trigger some involuntary laughter. Aside from that, the premise itself is something that is, for lack of better term, juvenile at best, but treated with nonchalance and enough suspension of disbelief to be watchable. The running time is no more than two hours, which is just how long such a material could probably be sustained without resorting to more drastic attempts on cohesion. Although the bear gets the titular role, it is really John who is the main character here. Somehow, Ted was just used as an instrument for him to see the world in a different light, and to motivate him to be his own man. Besides, he is 35. That late in life, growing up should no longer be a question or a dilemma. In this case, Ted functions as the representation of the carefree days of adolescence, not just for his best friend, but also for the members of the audience who are also suffering from a similar crisis in life. From that angle, this movie is no different from others with themes about dealing with one’s maturity. The presentation, though, is the real surprise because this movie has a lot of comedy in store for you, but of the kind that you would not want your kids to see. Most of the good scenes are already shown in the trailers, but there are still enough that would suffice to give you a good time. For example, that extended fight scene between John and Ted is simply cathartic, not just because of the tension released to ease the conflict between the characters, but also due to the smooth rendition of the CGI which makes you want to believe that Wahlberg really got served by that stuffed bear. The cast and crew probably had a blast shooting that scene. By the way, Joel McHale is also here as the jerk of a boss who gets to throw in some funny one-liner or two, but easily forgotten once Ted and John are back in the scene. Similarities with The Family Guy, for which MacFarlane is popular, could not be avoided as the film is also littered with several scenes that are non sequitur, which is what often happens in the said animated series. And of course, the voice of MacFarlane is difficult to dissociate from Peter. Oh, Mila Kunis too, although she is easily identifiable as another character here, not being a CGI stuffed toy and all. In the end, Ted is still funny and enjoyable, thanks to the many absurdities it has to offer. Seth MacFarlane should make more comedies.